The bond you share with your dog is a beautiful thing, completely unique and totally unwavering. The Fine Art Experience is dedicated to expressing the beauty of that connection, and bringing it to life through breathtaking artwork. I’ve partnered with the incredibly talented Helena Curry of The Casting Studio to create an experience like no other – a completely bespoke combination of fine art photography and sculpture that perfectly captures your hound and everything you love about them. Once you’ve chosen your package, it’s time to get started. 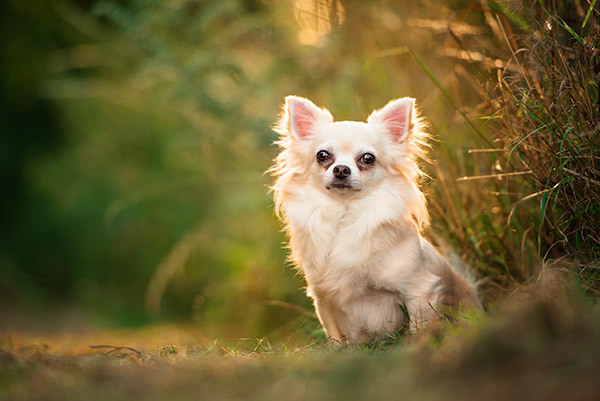 First, we’ll arrange a time and date for your photo session, as well as a location where your dog will feel happiest. 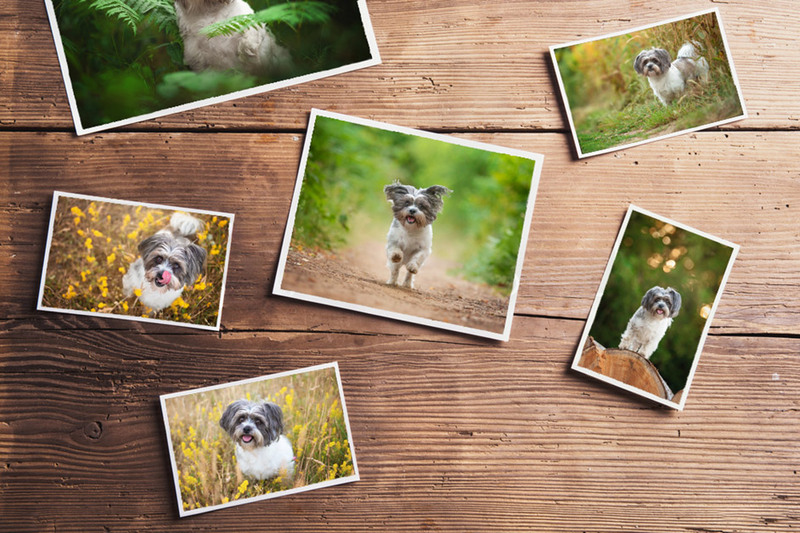 Sessions are all about relaxing and having fun, capturing your dog in their element. I’ll spend a few minutes getting them familiar with me and my camera, and then we’ll get shooting. Just think of it as a walk with a difference – and plenty of treats too! Shortly after your shoot (while your photos are being prepared) we’ll arrange a private session for you with Helena at her studio to create your dog’s paw cast. Nestled in the scenic North Bucks countryside, she’ll work with you to capture every gorgeous little detail of your dog’s paw prints, ready to be transformed into a beautiful bronze resin plaque. While Helena’s hard at work, I’ll add the finishing touches to your photographs. Then it’s time for your viewing. Usually held in the comfort of your own home, you’ll get to see your photos for the first time. 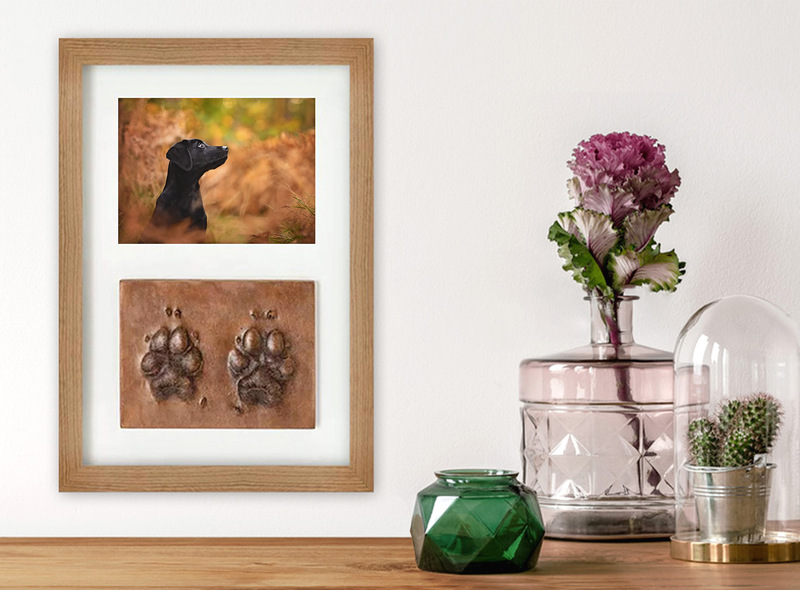 I’ll help you choose your favourites, as well as a fine art print and frame to compliment your paw cast. This is also your chance to order additional artwork, and enjoy 10% off any orders you place at your viewing. Please note: Additional artwork and digital files are available for purchase separately at your viewing session. You’ll receive a 10% discount on any orders placed at this session. The Fine Art Experience includes travel within Northamptonshire for your photo session. Sessions can take place further afield if you’re unable to travel – a travel fee applies for sessions taking place outside a 20 mile radius of Northampton NN1. If you have more than one dog, we can still create a custom art piece just for you. Get in touch and we can chat through your options. Your finished artwork is based on the size of your dog and their paws. 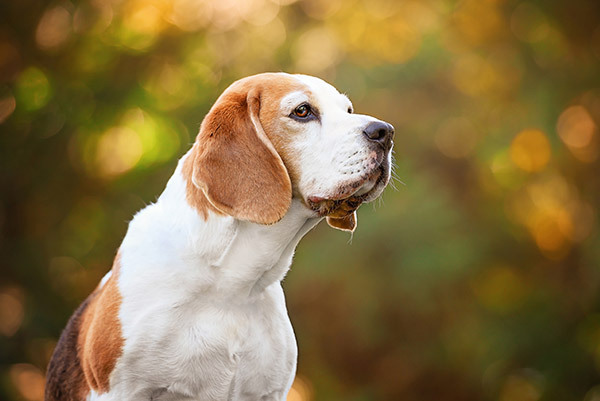 We’ve included some common breeds in the examples at the top of this page, but if you’re still not sure which size category your dog falls into, just get in touch and we’ll point you in the right direction. Where will my experience take place? The majority of photo sessions take place at select locations within Northamptonshire. 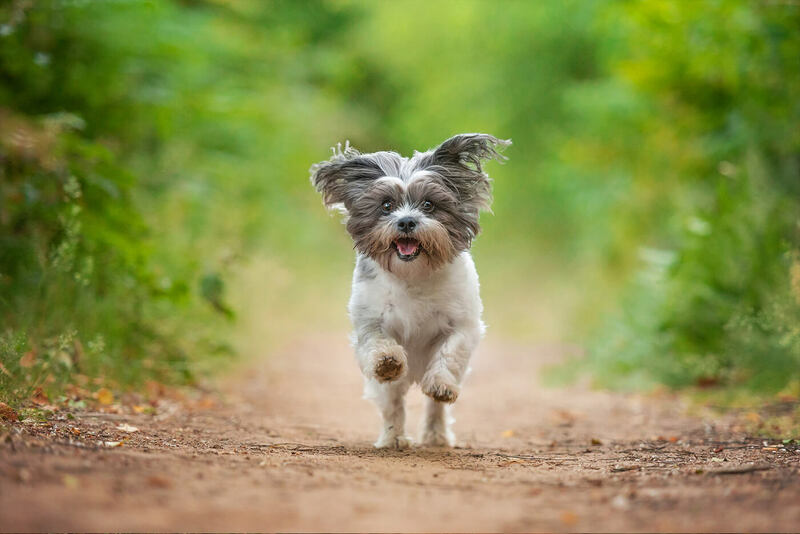 I’ve taken great care to choose a variety of locations where I know your dog will be comfortable and safe, and I’m confident that I can get the absolute best out of environment, giving you the best possible images. Sessions can take place further afield if you’re unable to travel – please note that there is a fee for sessions taking place outside a 20 mile radius of Northampton NN1. Your casting session will take place at Helena’s private studio tucked away in the quiet, picturesque village of Hanslope, near Milton Keynes. Photo sessions will usually take place on a weekday evening or Saturday afternoon, weather permitting. I take a huge amount of pride and care in my work, and only shoot in certain conditions, to ensure that you get the best images possible. This means that session availability can be limited, and subject to rescheduling if the weather doesn’t co-operate, however I will always make an effort to accommodate ill or elderly dogs where time is sensitive. Please note that session availability is extremely limited during spring and autumn months. Paw casting sessions wit Helena will usually take place after your photo session, and are available during the day and afternoons throughout the week and at weekends. It helps if both sessions take place within a few weeks of one another, but we can be flexible if extra time is needed. When you’re ready to book, just get in touch and we’ll arrange for both of your sessions to take place at a time and date that suits you. What size will my framed print and paw cast be? 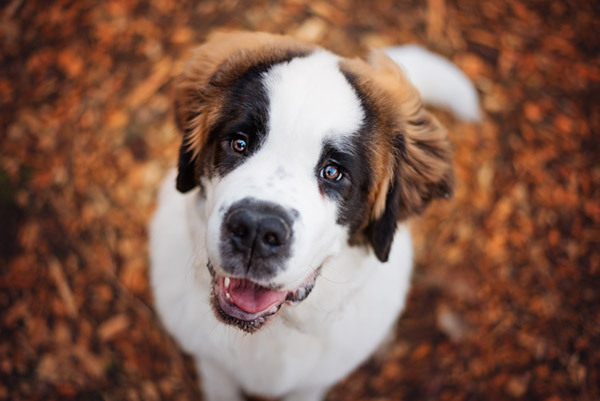 The finished size of your artwork is dependent on the size of your dog and their paws – big paws require a larger plaque, which increase the overall size of your frame and fine art print. As a rough guide, a small paw cast plaque measures around 7″x5″, resulting in an overall frame size of approx 14″x10″. Each piece of artwork is completely bespoke, so sizes will vary. If you’re looking for a custom size or layout, please get in touch and we can find the perfect package for you. Can my paw casting session take place first, before my photo session? Of course! Helena and I have worked hard to create a seamless experience from start to finish, but we’re also completely flexible with our sessions and the order in which you enjoy them. For example, we may need to reschedule your photo session to a later date if the weather is unfavourable, but that won’t stop your paw casting from going ahead as planned. If you’d like to tweak the order of your experience, just let us know when you book. How does the casting session work? The process of taking a cast involves taking your dog’s paw and pressing it firmly in to the clay. This isn’t a normal sensation for your pet so they are likely to find it a little strange at first! You need to be confident that your dog will let us hold their paw. Some animals are funny about having their front paws touched but completely fine with their back paws so this is another option. Please be prepared that we may have to take impressions from their back paws. Please allow one hour for your casting appointment. The actual casting itself only takes a couple of minutes but we like to allow some time for you and your dog to feel welcome and settled before we start the casting, plus it allows for a few attempts if needed. Can my photo viewing session be held online? If you’re not local to Northampton, or it’s not possible for me to visit your home for your viewing session, I’d highly recommend that we try to meet somewhere else, like a local coffee shop. Being on hand to help guide you through your images and your artwork choices is a hugely helpful part of the experience, one that my clients find incredibly valuable. If it’s not possible for us to meet in person for your viewing, your session can also take place via Skype or over the phone. I’ll still be able to walk you through your images and help you with your order, as well as answer any questions you might have.